Private jets have many advantages. They are always available, ready to use when you need them to make traveling a pleasure. In this blog post we summarize what you should consider when buying a private jet. We suggest you consult an experienced expert who knows your situation and understands your needs. To buy or to charter a private jet? Before you even begin to think about buying a private jet make yourself familiar with others options. On the one hand there is the possibility to charter jets. Through frequent flyer programs and their frame contracts you get attractive conditions without sacrificing the flexibility of an owned jet. On the other hand you have the opportunity to share a private jet with other owners. As a fractional owner you have the right to fly with “your” jet a certain amount of hours while sharing the initial and ongoing costs with the other owners. Before focusing on a particular manufacturer, you should take a closer look at your expectations, requirements and flying habits such as: The airports you regularly want to fly to, the distances you travel and the number of passengers who will accompany you are of particular interest. In addition it is important to know the level of comfort you expect on board. When these questions are answered you can specify a private jet type and eventually even the manufacturer. Very Light, Light and Super Light Jets are small and maneuverable. They can accommodate 4 to 9 people and reach maximum ranges between 2,500 and 3,800 km. Midsize and Super Midsize Jets offer additional comfort such as sleeping and meeting facilities. A total of 7 to 12 passengers can fly and the maximum range is between 5,600 and 6,400 km. In heavy jets seats can be converted into beds significantly increasing the feel-good factor. They accommodate up to 12 people and have a maximum range of 8,100 km. Ultra Long Range Jets are the most luxurious and fastest jets. With a maximum range of 13,600 km you can also reach intercontinental destinations without having to stop for refueling. Find out more about the specific characteristics in our article about the different private jet types. Which manufacturer offers the right model? If you know what type of private jet suits your needs best take the next step and look for a specific model. As in every other industry the manufacturers and their models have certain characteristics, pro’s and con’s. 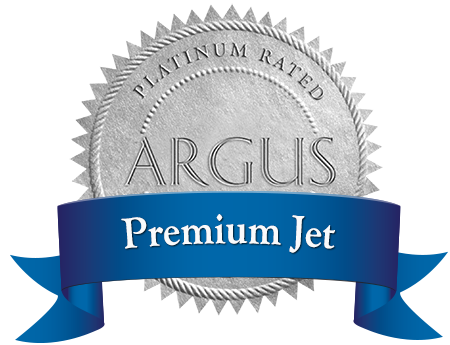 Get a good overview in our blog post about the 7 most important private jet manufacturers. Part 1 of the series deals with the manufacturers Cessna, Bombardier, Gulfstream and Learjet. Part 2 discusses Embraer, Beechkraft and Dassault. In any case, remember that the purchase of a private jet is linked to a variety of legal requirements. Therefore it is advisable to have an expert at your side from the very beginning. He will help you find the best solutions you and ensures that all specifications are adhered to. This is particularly important when legislative changes occur – for example like the Part NCC rules, which had to be implemented by August 2016. A good operator will inform you in advance whether your private jet is affected by new regulations and how to best implement them. Buying a private jet is a good option when you are flying a lot and want to make sure that you always have the possibility to fly in a jet suiting all your needs. As there are different models, types and manufacturers, which all have their advantages and disadvantages you should definitely seek for an independent consultant helping you to find the best solution.